France’s second city after its capital Paris, Nice is most famous for its extraordinary food culture and because of its location it is easy to see why. Surrounded by the fruit, vegetables and olive oil of Provence who are also specialist producers of meat and due to its position by the sea, fish. It would hardly be surprising then that Nice could such a great place for food fanatics. 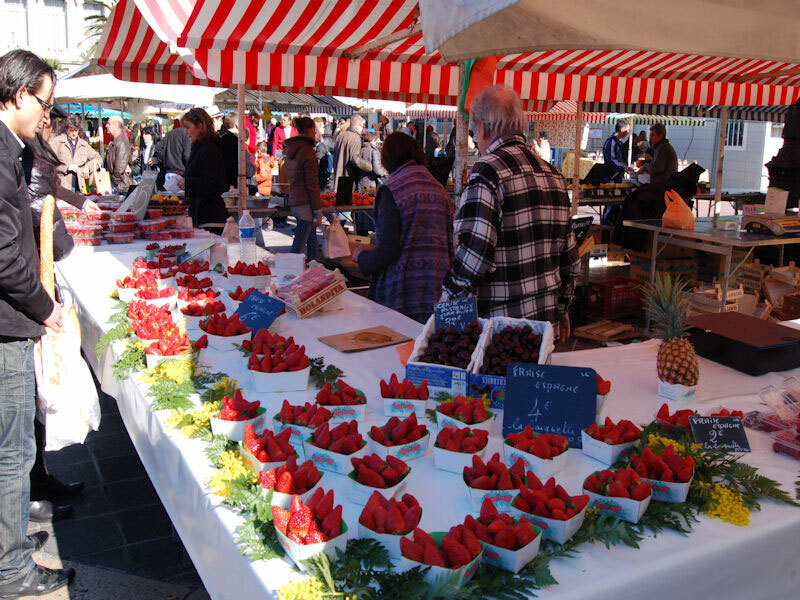 While it is not technically a tourist attraction in Nice, many travellers who come to the city make their first stop off at the market in Cours Saleya making it an unintentional attraction. Like the similar fruit and vegetable market in Antibes this is a full functioning working market which is frequented by the locals and restaurants to stock up on supplies. The best way to see the market is to go on a walking tour around the market. There is also a fish market a short distance away from Cours Saleya at Place Saint Francois and is an eye opener for those who thought they knew all about fish. It is open from 6 am till 1 pm daily except on Mondays. With Nice being such a great place to eat some great cuisine you will find no greater pleasure while in the city than eating the local dishes prepared by the knowledgeable chefs who have been preparing this kind of food for much of their lives. The Cours Saleya market is a great place to find some locally prepared dishes and as are the little streets of the Old Town where you can treat yourself to little pancakes called socca, which is a thin pancake made with olive oil, chickpea flour and then seasoned with black pepper. Other dishes you should try include pissaladiere which is a pizza like onion tart and beignets de fleurs de courgettes which are deep friend fritters in olive oil with vegetables. All of these specialities which are certain to delight your taste buds can be found at stalls and local restaurants. If you really wish to take home with you some techniques to make some Nicois recipes book a day at the Les Petits Farcis. Cordon Bleu trained owner Rosa Jackson takes you on a tour of the open air market at Cours Saleya where she will introduce you to some of her favourite producers there and for the food buffs is the kind of inside knowledge that they would normally only dream of. You will shop then learn to cook your ingredients in true Nice style before tasting what you have all made. It is a fun and relaxing way to introduce yourself to Nicois cooking. Be sure to check out great deals for car rentals at Auto Europe to drive into Nice and begin your food quest. Any food buff knows that a good choice of wine will compliment your meal to make it the perfect dish. Once you have learned to cook you can visit one of the wine bars in the city and ask the knowledgeable sommeliers about wine. Unlike in other countries you will be expected to order food with your wine although the menus in these bars are less formal than in restaurants. Unusual Cruises: How To Choose A Holiday with a Difference.